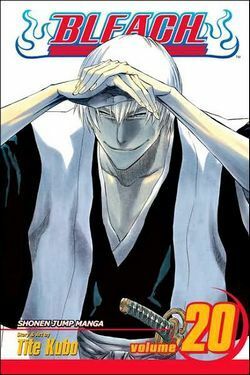 Bleach, Vol. 20 - a VIZ Media bestseller. VIZ Media, LLC (VIZ Media), one of the entertainment industry's most innovative and comprehensive publishing, animation and licensing companies, has announced that Naruto manga volumes 16, 17 and 18 occupied the first, second and third positions on Nielsen BookScan’s noted Top 50 Graphic Novel list for the week ending September 23, 2007. The trio of latest volumes from the popular ninja action series has remained in the top three spots on the BookScan Graphic Novel list for four consecutive weeks. More than 2.3 million Naruto manga volumes have been sold domestically since the series launched. Further expanding the favorable manga sales news for the week of September 23, VIZ Media titles occupied a total of 33 of the Top 50 spots on the Graphic Novel list. Various Naruto titles, including previous manga editions and a recently released Naruto Anime Profiles: Episodes 38-80 book, swept 14 of the Top 50 listings. Some other notable VIZ Media placements include Bleach Vol. 20 (at number 10), Death Note vol. 1 (at number 11), The Best of Pokémon Adventures: Red (at number 12), The Gentlemen’s Alliance † Vol. 3 (at number 15) and Fullmetal Alchemist Vol. 14 (at number 17). Nielsen BookScan operates the world's first continuous retail sales monitoring service for books, with purchase information representing sales through a majority of the major retailers each week. In a typical week, sales of over 300,000 different titles are collected, coded and analyzed, producing complete market information for retailers, publishers and the media. The impressive sale of so many Naruto manga volumes helps to validate the continued massive popularity of the series among readers of all ages. Earlier this summer, VIZ Media launched Naruto Nation, a broad campaign to bring an unprecedented increase in the frequency of publication of the wildly popular Naruto manga series. In order to catch up to the present Japanese release schedule and to prepare readers for upcoming notable changes in the main character and story arc, VIZ Media will offer three new volumes of Naruto per month from September through December 2007 – a first for any U.S. manga publisher.